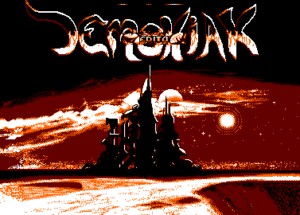 Demoniak 4 was a major step for us, even more than the third issue. Everything, I mean EVERYTHING, was done in assembler. There’s not a single line in Basic! With Demoniak 4, Arkos, the ‘demos’ section, was born. The three of us had learnt assembler and were making quick progress. We became quite respected with this issue :).